Empowering industrial engineers to lead an agile approach to line-design. Smart Industry: How does your new approach enable greater flexibility and boosted efficiency at the same time? Rodney: Over the last seven years, the entire Bosch world has been taking the theory of i4.0 solutions and making them real in a number of our facilities worldwide. During the course of this experience, we have learned many hard lessons, but also found ways to implement i4.0 solutions to drive better production performance, increase quality and develop a real-world view of our key data points. During the course of this journey internally, and now externally with our customers, we have organized our approach, our knowledge-transfer and our solutions-implementation to ensure that we are maximizing open, flexible and scalable solutions to enable holistic systems to have an evolution pathway. With these approaches, we reimagined how to take a high-variation set of existing assembly lines (with low-volume output) and create a new solution while reducing our footprint to only one assembly line and increasing our key indicators. Thus was born the Multi-Product Line in our Bethlehem, PA manufacturing campus. Smart Industry: What excites you about the Multi-Product Line? Rodney: By empowering our industrial engineers to lead an agile approach to line-design and drawing on the i4.0-ready products in our own portfolio (and from third parties) we saw a completely new approach implemented at Bethlehem. The Multi-Product Line has exceeded our key indicators and improved overall worker conditions. In addition, given its compact design, we have a showcase line that can be used to help others understand what an i4.0 journey looks like and how it can relate to them, not in theory, but in actual real-world solutions. 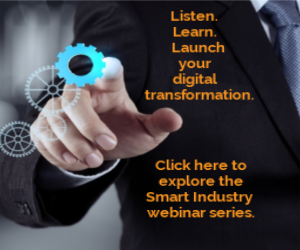 Smart Industry: What is unique about the role of product/solution providers in this era of digital transformation? Rodney: Product/solution providers tend to already think in “systems” and “problem-solving solutions,” which are both key building-block skill-sets needed to increase success probabilities in the implementation of a digital transformation. What Bosch Rexroth brings to the table is not only these skills, but given our position as a provider of industrial-automation components and as a consumer of such technologies, we bring real-world experience to the table. We are able to draw on a diverse manufacturing footprint and bring that first-hand knowledge directly to our customers, regardless of the industry that they operate within: automotive, EV/HEV, printing, semi-Con, etc. We must also play the role of educator. Given that an I4.0 digital transformation is a journey, those who lead the process (internal or external) need to be able to develop a constructive, focused, knowledge-sharing environment. Smart Industry: Are clients’ needs in this regard wildly varied? Rodney: Clients are varied. The maturity level and diversity of skill-sets makes each engagement unique. That being said, we find similarities when we do deep dives into their manufacturing processes, workflow organization, associate creativity and leadership-commitment levels. There are usually common characteristics that help us predict if a client is truly ready to start an i4.0 digital transformation journey.